Stewart-Haas Racing has signed Aric Almirola to join its Monster Energy NASCAR Cup Series lineup in 2018. The 33-year-old from Tampa, Florida, will drive the team’s No. 10 Smithfield Ford Fusion. Almirola has won races in each of NASCAR’s top-three national touring series and is currently in his sixth full season in the premier NASCAR Cup Series. Almirola has one NASCAR Cup Series victory, three NASCAR Xfinity Series wins and two NASCAR Camping World Truck Series triumphs. “This is the opportunity every racer wants,” Almirola said. 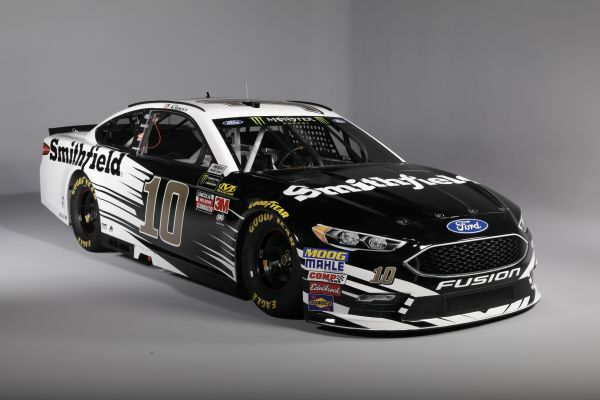 “Stewart-Haas Racing is an experienced organization with a lot of depth, great technical support from Ford, and staffed with racers from top to bottom. They lean on each other, challenge each other and make each other better. I’m really looking forward to being a part of that. “This is a great moment for Aric, and Smithfield is very happy to be a part of it because it’s a great opportunity for our company,” said John Pauley, executive vice president of sales and marketing, Smithfield. 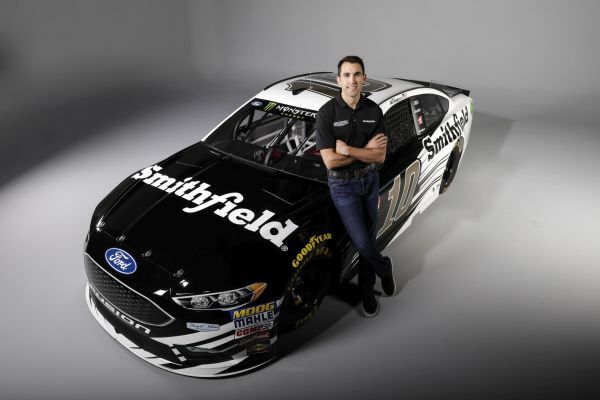 Almirola’s path to NASCAR started in his home state of Florida, beginning in karting in 1992 before advancing to open-wheel modifieds in 2000 and then late-model stock cars in 2002. In late 2003 at Hickory (N.C.) Motor Speedway, Almirola participated in a driver combine for Joe Gibbs Racing and was ultimately selected as one of the first two drivers for Gibbs’ diversity program, which launched in 2004. Almirola became a teammate of Stewart’s, who was in his sixth year as a NASCAR Cup Series driver and only two years removed from the first of his three NASCAR Cup Series championships. Nine wins and 11 poles during the 2004-2005 seasons of the NASCAR Whelen All-American Series allowed Almirola to advance from local short tracks in the southeast to a fulltime, national schedule in the Camping World Truck Series in 2006. A handful of Xfinity Series starts also came in 2006, and Almirola’s NASCAR Cup Series debut took place on March 11, 2007 at Las Vegas Motor Speedway, three days shy of his 23rd birthday.